California is a wonderful state – rich with history, culture, gorgeous landscapes, abundnt recreational opportunities and so much more. It’s not surprising so many people want to buy their dream vacation home in the Golden State! That’s why we’ve made it a goal to help vacation and second home buyers discover competitively priced financing solutions in California. A vacation home is a residential property that the owner uses for their own personal use and is not their primary residence. Vacation home loans finance such properties very similarly to loans for primary residences. However, in order for the IRS to consider your property a vacation home or second home, the property must be put to the owner’s personal use at least 14+ days per year or more than 10% of the the time the home is rented. Talk to one of our loan professionals or your tax advisor for details. 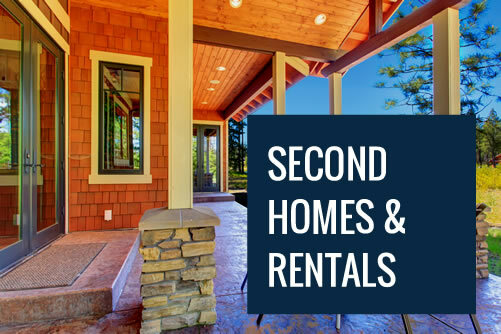 In order to be considered a second home or vacation home, you must occupy the property more than 14 days per year or more than 10% of the time it’s rented. Conventional loans are the most common choice for vacation home loans, as government-backed loans typically only cover primary residences. Mortgage rates for vacation homes may be slightly higher than loans for primary residences, as lenders consider them a riskier investment. To ensure you get the best rate possible, be prepared to make a sizeable down payment of at least 20%, keep your credit score as high as possible, and talk to one of our California loan consultants about finding the best time to lock in a rate. is purchased or used with the intent to generate income, profit from appreciation, or take advantage of certain tax benefits. This includes properties purchased in order to “flip,” where the buyer makes the purchase to fix up and resell as fast as possible – usually within the same year. If you’re not sure which type of home financing you need for your home, feel free to reach out to us. We’ll review your homeownership goals, talk to you about the different options and help you find a loan program that meets your needs. Call us at (800) 939-4177 to get started. In addition to California vacation home and second home loans, Trilogy Mortgage is pleased to offer a selection of conventional mortgages for primary residences, government-backed loans, low money down mortgage options, jumbo financing and more. Browse our programs page to explore our full selection. 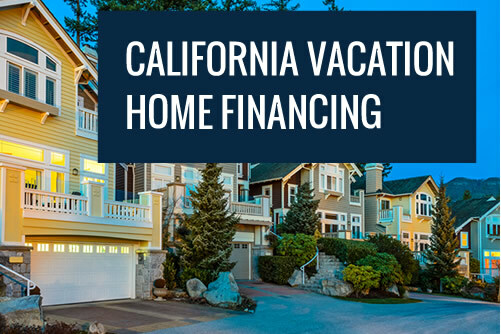 Reach out to us today to begin the process of financing your California vacation home. We can be reached by phone, email or through the questionnaire on this page.